The family-friendly 26th annual Seneca Heritage Day will take place on Saturday, September 2, featuring traditional Seneca singing and dancing, and children's activities. Additionally, the event will celebrate the 100th anniversary of women's suffrage in New York State, noting the influence that the societal agency of Haudenosaunee women had on American women's fight for equality. 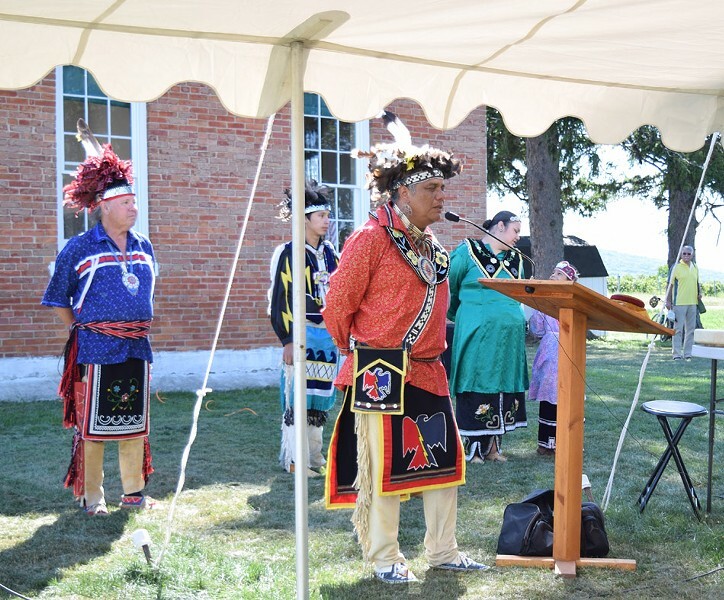 Peter Jemison and Ronnie Reitter, representatives from Ganondagan State Historic Site, will speak about the history and important contributions of the Seneca Nation, including the inspiration that early feminist movements derived from women's important roles in the Iroquois Confederacy. Seneca singers and social dancers in traditional regalia will perform, and a children's storyteller will engage the little ones. There'll be free ice cream, and pies for purchase. Presented by Middlesex Heritage Group, the free event takes place from 2 p.m. to 4 pm. on the grounds of the historic Overackers Corners Schoolhouse (at the intersection of Route 364 and North Vine Valley Road, Middlesex). For more information, call 554-3607 x1006 or email middlesexheritagegroup@gmail.com.